We are delighted that in the past month, three of our members have achieved their Competent Communicator award. 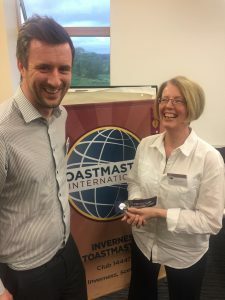 This award recognises their successfully completing the first ten speech projects in Toastmasters. During this time, they have learned how to organise a speech, to use vocal variety and visual aids, to persuade, and to perform. Congratulations to Aine, Amanda, and Theresa. We have two more members about to achieve their CC awards, so fingers crossed for Pamela and Lorraine! 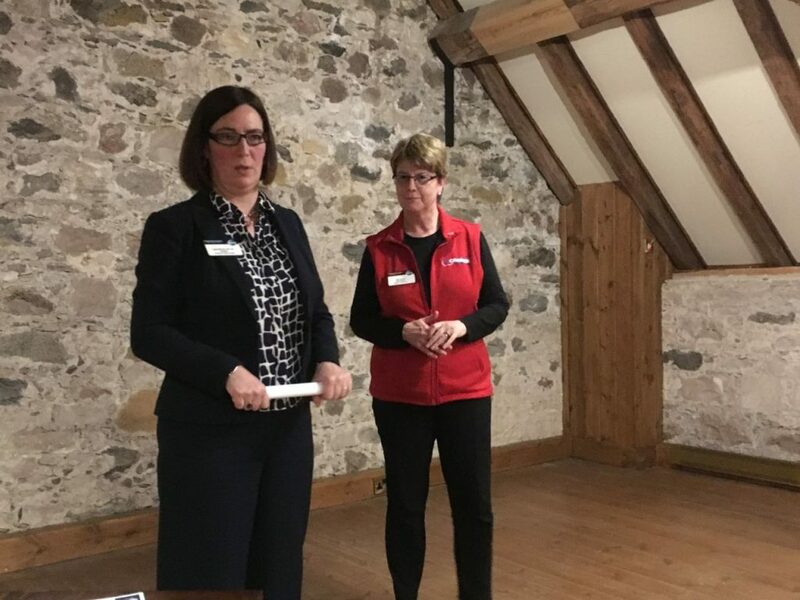 Three of our committee visited Forres Business Association last night. In the salubrious environs of Brodie Castle. Isla, Áine and Laura each gave a talk about public speaking and how becoming a confident speaker can enhance your business. 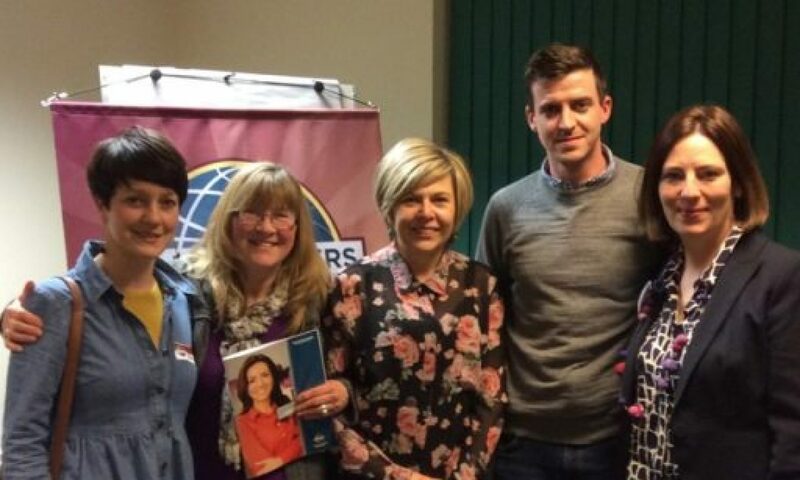 Lots of interest in Toastmasters International UK & Ireland so some follow-up to do! You are just a few steps away from changing your life. 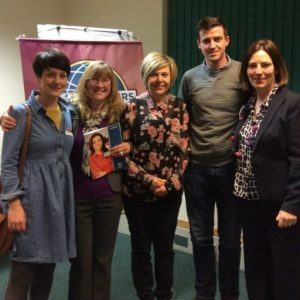 Visiting a Toastmasters meeting, finding out about how the club can help you to become a more confident, and talented speaker, is the first step. Our club meets twice each month, on the second and fourth Wednesday evening of the month, at 7pm. Toastmasters has helped millions of people around the world to improve their public speaking and leadership skills. Some people join because they have to do a presentation at work, other people come along ahead of a big event in their industry where they have to say more than just a few words. Others would like to speak at a wedding. Whatever brings you to Toastmasters, you will find that the atmosphere of support and acceptance, coupled with useful critique and encouraging feedback, will keep you coming back. Start your public speaking and leadership development programme today, with the world’s most successful public speakers organisation. If you decide to join, membership fees which cover venue costs and administration, are a very reasonable £50 per 6 months. When you join, a £15 joining-up fee gets you the two most important tools in your toolkit: the Competent Communicator manual, and the Competent Leadership manual. Together, these will help lead you through your initial weeks and months at Toastmasters. We’ll also assign you a mentor — an experienced member of our club who will help you as you progress through your first three prepared speeches in the Competent Communicator manual. You won’t believe where Toastmasters can take you — personally, or professionally. You will get out of it what you put in. And far, far more! Come along and see what it’s all about. A group of volunteers helping other volunteers, here in Inverness, Scotland.